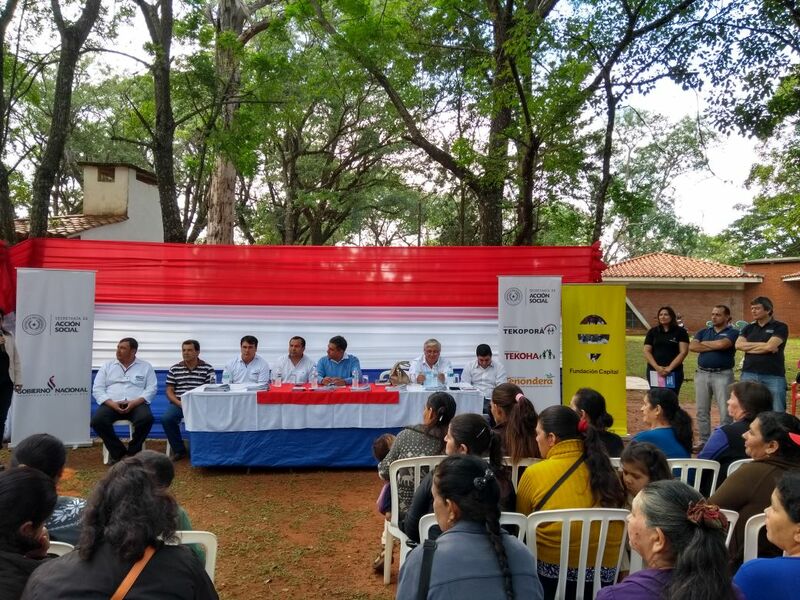 Within the framework of the month of financial education in Paraguay, Fundación Capital has accompanied an event in the district of Yuty, in the Paraguayan department of Caazapá, with the purpose of opening savings accounts and delivering debit cards. 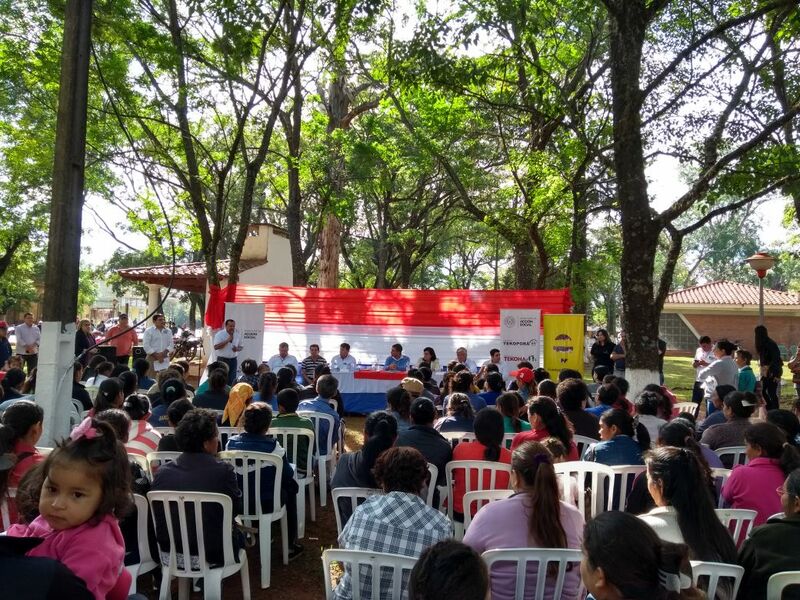 This event took place during days 26th and 27th of March,and it was attended by participants and families of the Tekoporã project, the team of the Social Action Secretariat (SAS), staff of the National Development Bank (BNF), and various authorities, such as the Minister of the SAS, Héctor Cárdenas, the Municipal Mayor of Yuty, Ever Vera, the Governor of the Department of Itapúa, Celia Morel, and the members of the Citizen Participation Table. During the conference, basic accounts were set up for each program holder by the BNF. Besides, each participant received their debit card. Fundación Capital accompanied the events by training families on how to use ATMs, how to make purchases in stores, and how to take care of the card and the security key or pin. Financial education materials were also delivered to the families receiving the conditional cash transfer and to SAS personnel. In total, 741 participants of the Tekoporã Program received their cards. These families receive, on average, the sum of Gs. 620,000 (around USD 113) every 2 months. Fundación Capital has been supporting the SAS since 2013, through the Kakuaa component of the Tekoporã Program. This component seeks to strengthen the financial inclusion of families participating in the program with a strong focus on financial education.